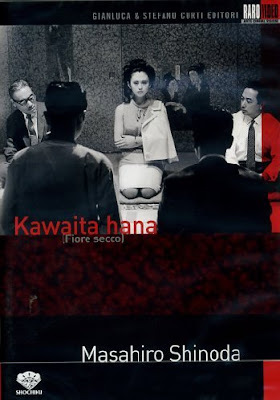 Masahiro Shinoda's Pale Flower / Kawaita hana / 乾いた花 (1964). Whereas Seijun Suzuki's 1964 Gate of Flesh / Nikutai no mon / 肉体の門 is set in the immediate wake of the Second World War and shot in garish colors, Shinoda's 1964 film is set in the early 1960s and shot in black and white. Japan has begun to rebuild and we can recognize it as contemporary modern. 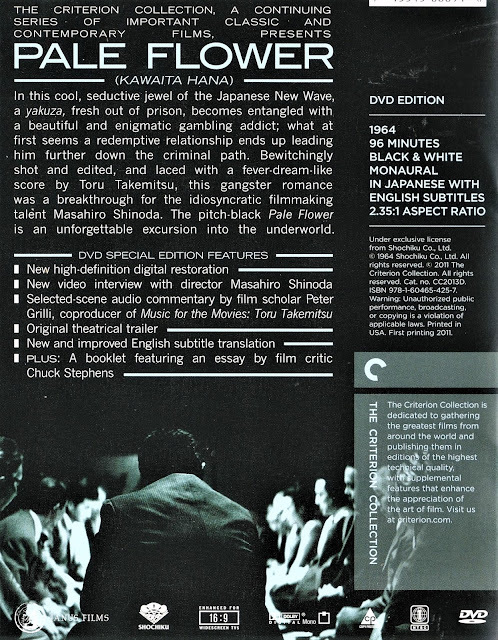 But the code of gangsters (yakuza) is key to both films, and to both periods in Japanese society. So is the underground scene in general -- dangerous and alluring. '“There was a strong influence of [Charles] Baudelaire’s Fleurs du mal throughout this film,” director Masahiro Shinoda would later remember of his 1964 squid-ink noir Pale Flower.'" -- Chuck Stephens, "Pale Flower: Loser Take All" (2011), The Criterion Collection. Link here. "Bewitchingly shot and edited . 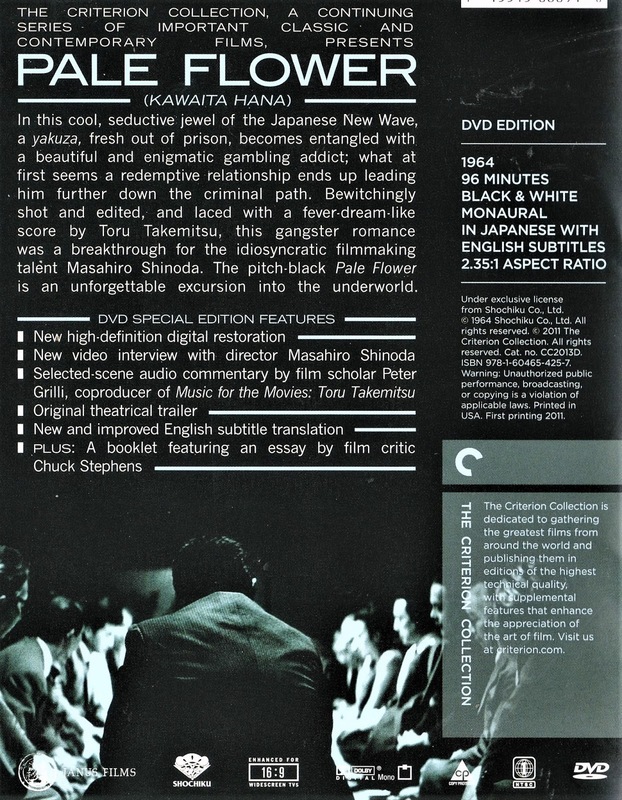 . ." The Criterion Collection has special features, all nifty. Who will pay the Piper? But first, who is the Piper? "A sumptuous sonnet to unrequited amour fou, Pale Flower remains Shinoda’s most enduring creation." -- Chuck Stephens, "Pale Flower: Loser Take All" (2011), The Criterion Collection. At the rate I'm still falling behind on movies, I don't imagine I'll ever get close to catching up. Hi Erik! Struggled through the sequel to Saturday Night Fever last night. It was very painful. Hope you are enjoying life!